This update to the award-winning The Origins of Modern Humans: A World Survey of the Fossil Evidence covers the most accepted common theories concerning the emergence of modern Homo sapiensadding fresh insight from top young scholars on the key new discoveries of the past 25 years. The Origins of Modern Humans: Biology Reconsidered allows field leaders to discuss and assess the assemblage of hominid fossil material in each region of the world during the Pleistocene epoch. It features new fossil and molecular evidence, such as the evolutionary inferences drawn from assessments of modern humans and large segments of the Neandertal genome. It also addresses the impact of digital imagery and the more sophisticated morphometrics that have entered the analytical fray since 1984. 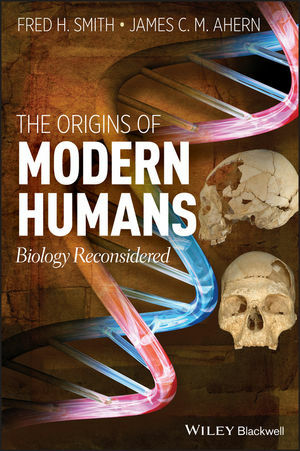 Elegant and thought provoking, The Origins of Modern Humans: Biology Reconsidered is an ideal read for students, grad students, and professionals in human evolution and paleoanthropology.